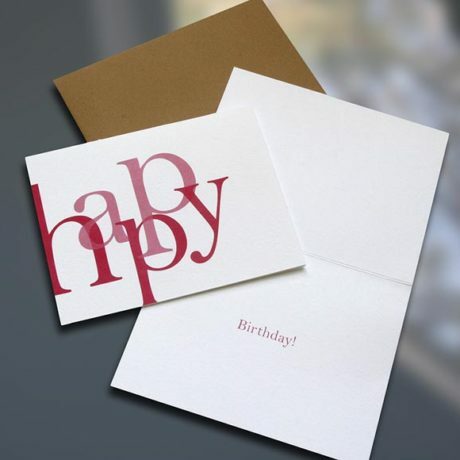 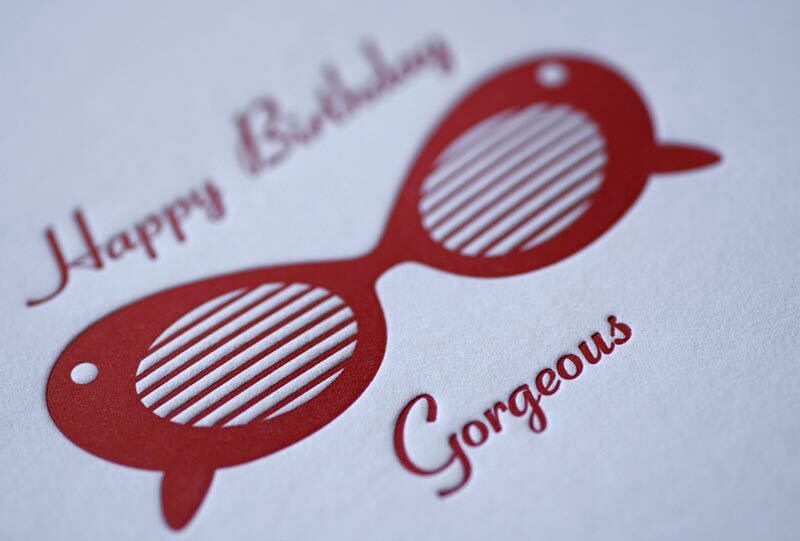 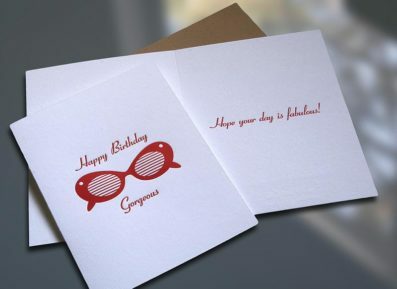 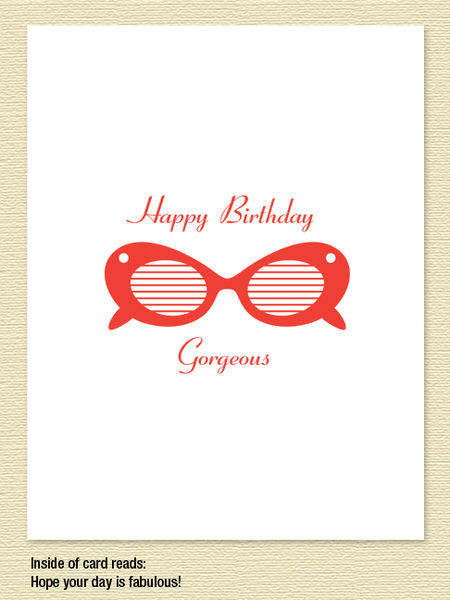 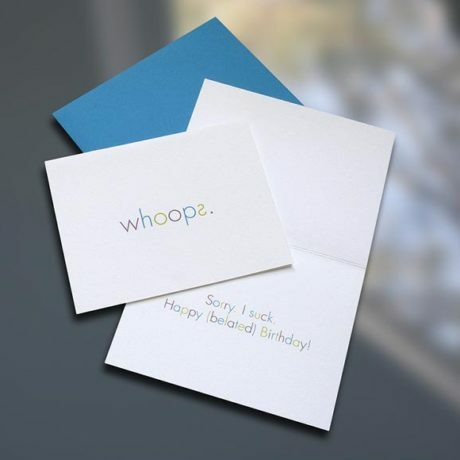 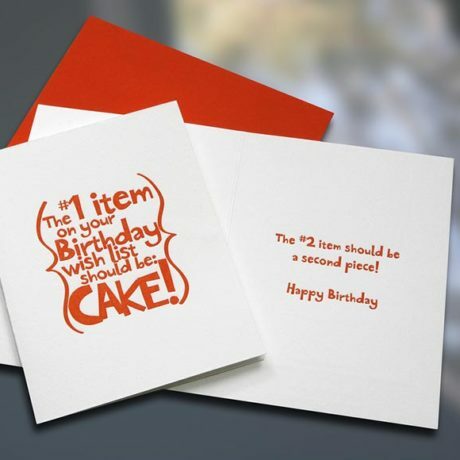 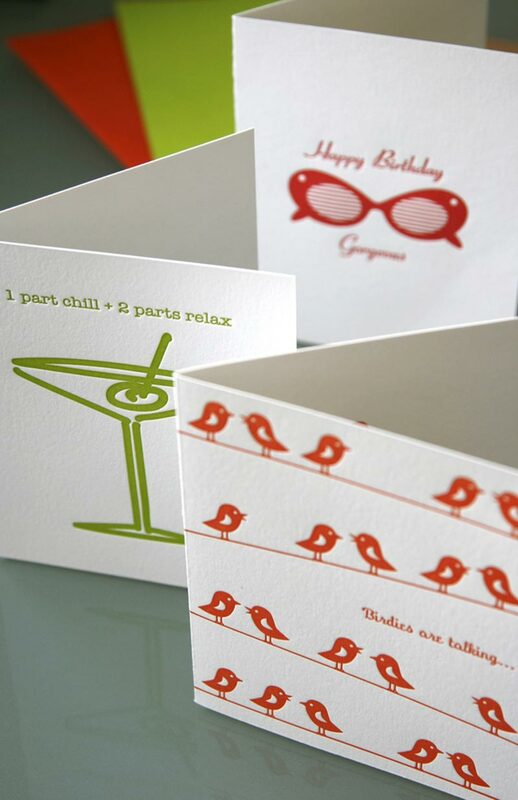 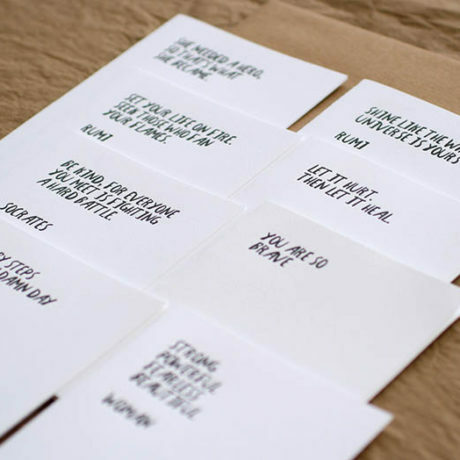 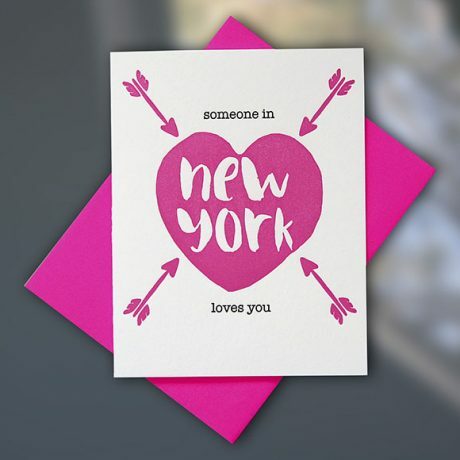 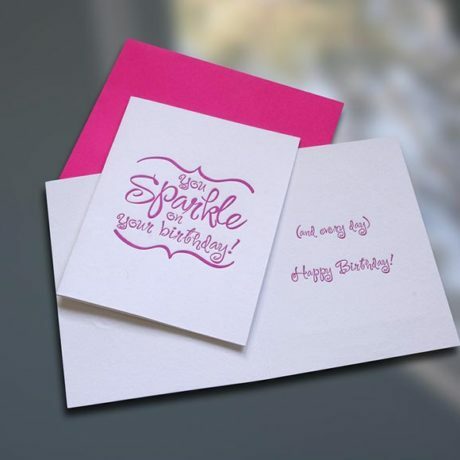 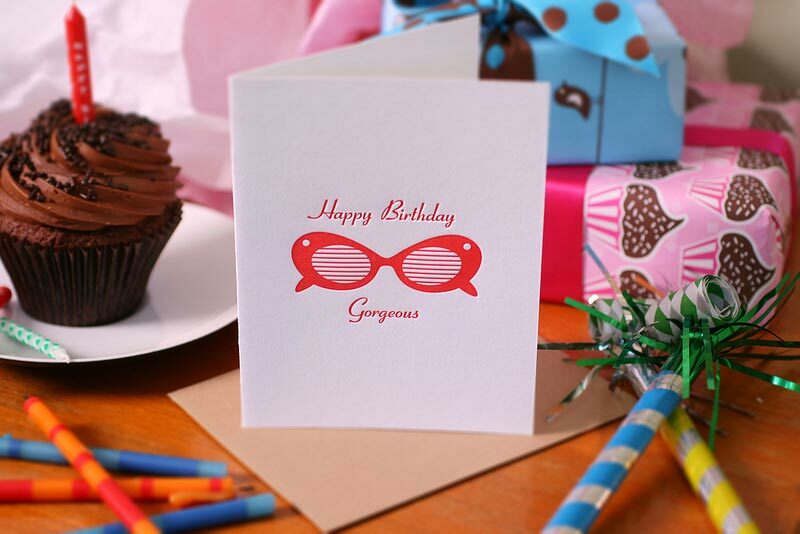 Single in sleeve luxurious letterpress birthday card with colorful matching envelope. 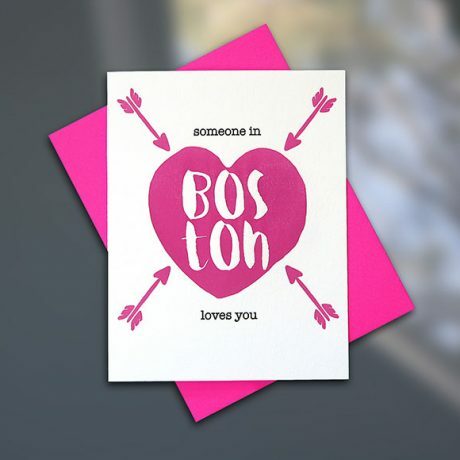 Inside reads: Hope your day is fabulous! 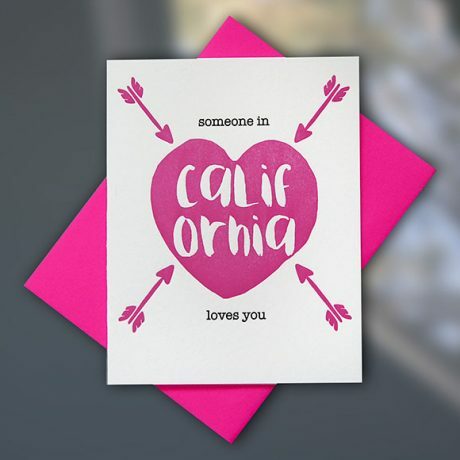 4.25 in. 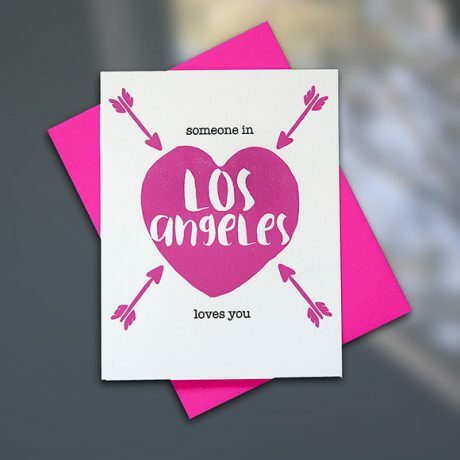 x 5.5 in.